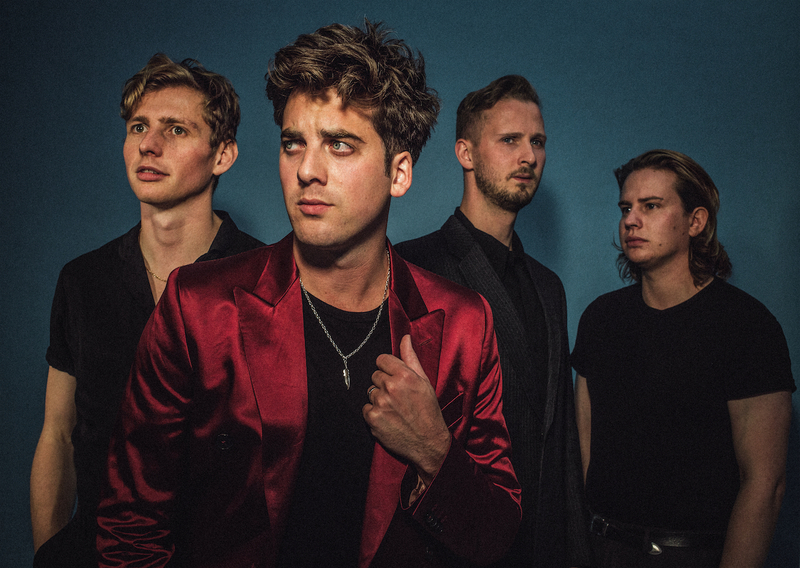 Liverpool quartet Circa Waves’ third album, ‘What’s It Like Over There?’, finds them venturing into new territory, but is it a case of following their calling or, to use that classic phrase, selling out? Duly, several instruments we wouldn’t necessarily associate with straight up guitar bands have started to appear, like the grand piano that features prominently on a couple of tracks. Times Won’t Change Me stomps along like a vintage Scissor Sisters romp, and Passport enforces that comparison by making Circa Waves sound like Jake Shears and company attempting to pen an ode to the Beatles. The lyrics paint a clear picture, too—of break-ups. Pleas of “looking for a way to replace you” and “I’m falling apart” indicate who’s on the receiving end of the relationship elbow, but a cheesy synth line irritatingly undercuts any good work here. Sorry I’m Yours deploys a wham-bam chorus as two elements of the album become clear. Firstly, Alan Moulder’s production is more polished than a newly presented trophy, and secondly the lines are becoming blurred between rock band and boy band as Circa Waves chase their radio dreams. The poppier side promised by Shudall appears on lead single Movies, meanwhile, and it’s very impressive. An angular guitar hook sits towards the back of the mix, as does a kicking bassline, perhaps giving away Circa Waves’ revised priorities, but it’s a clear highlight. As is the tremendously emotional love song The Way We Say Goodbye, where things get a little Maroon 5 as a U2 guitar line hides in the background. They save the best until last, though, as the heavy closer Saviour reminds us of what they can accomplish when they go for it. In fact, it stands out so much from its peers that it feels as though Circa Waves have been allowed one single opportunity to let rip, so they’re going to make the most of it. 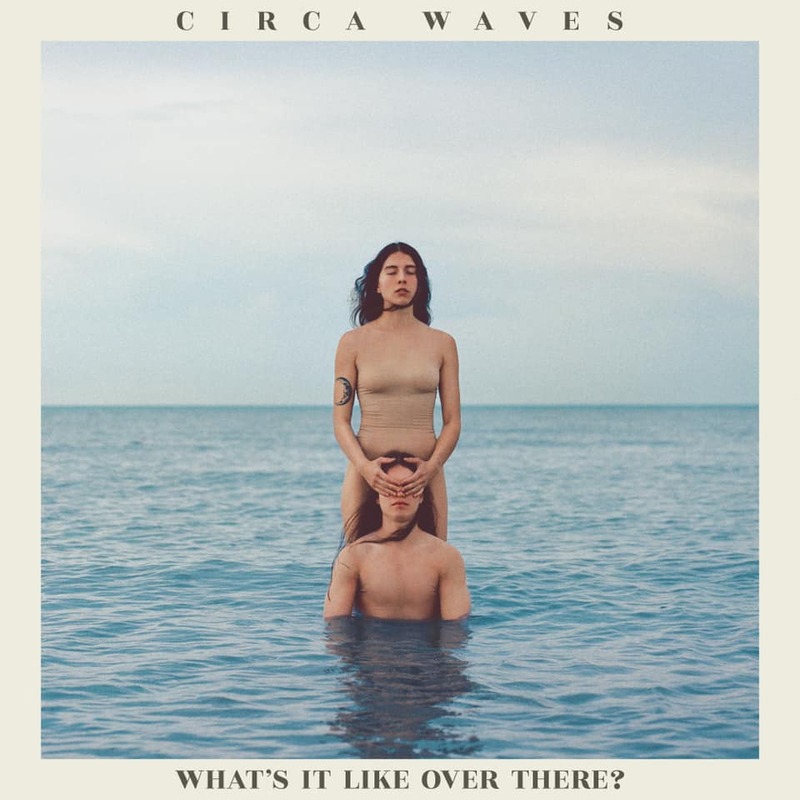 On the evidence of ‘What’s It Like Over There?’ it’s difficult to decide whether Circa Waves’ sound is evolving in the best direction. Things may be poppier, perhaps resulting in more widespread appeal, but are they also losing the core of what made them so interesting in the first place? Quite possibly. 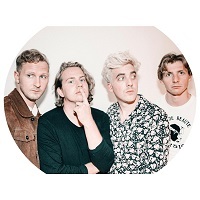 Click here to compare & buy Circa Waves Tickets at Stereoboard.com. Circa Waves have announced a UK tour. Circa Waves have released two new tracks. Circa Waves have announced The Tour Before The Big Tour Tour.